7 October 1571, the Battle of Lepanto was fought between the forces of the Holy League under the command of young Don John of Austria and the Ottoman Empire in the Gulf of Corinth, one of the largest, bloodiest and decisive naval engagements in history. 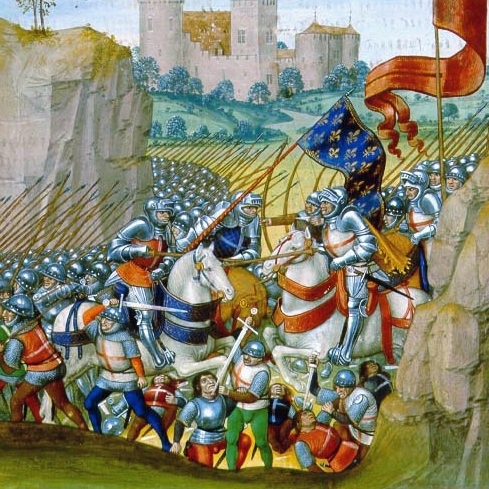 The fall of Constantinople in 1453, several overwhelming defeats in the Balkans and finally the loss of Venetian Cyprus caused a downright panic within the remaining central and southwestern Christian nations of Europe. 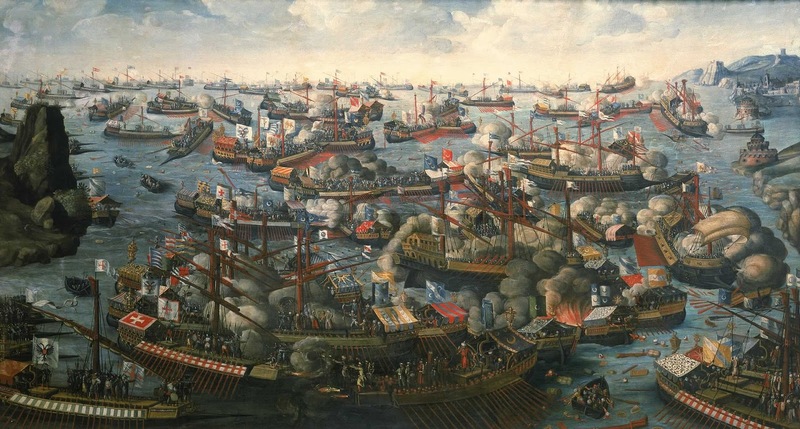 Especially when the large Ottoman fleet moved towards the Adriatic sea where the “Great Turk’s” ground forces already held most of the eastern coast and directly threatened Italy and the Papacy itself. Almost all littoral states of the Western Mediterranean scraped together what reasonably could keep itself afloat, galleys of the Duchies of Savoy, Urbino and Tuscany among them, as well as the crack Spanish units and those of the two last Maritime Republics, Venice and Genoa. 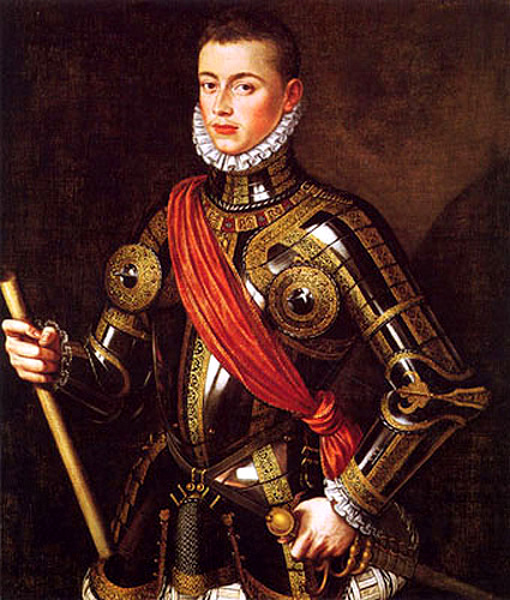 All in all, 212 ships under the overall command of Emperor Charles V’s illegitimate 24-years old son John of Austria sailed east, crewed by 40,000 sailors and oarsmen, serving as fighting platforms for almost 30,000 infantry, to meet the hitherto almost invincible Ottomans in Greek waters. The ways of waging war at sea in the Mediterranean had not significantly changed since the days of Salamis and Actium and the otherwise military highly advanced Turks were in for a surprise. Nine Venetian galleasses, a hybrid of a war galley and a war galleon with broadsides of modern artillery, sailing with the Holy League’s fleet, would make all the difference when the two fleets clashed in the morning of 7 October in the Gulf of Corinth. Within a few hours, the two several miles wide battle lines were locked, bloody hand-to-fight ensued where the excellent Spanish infantry, among them the legendary Tercios, proved to be more than a match for the Turkish Janissaries and every attempt to make the numerical superiority tell and outflank the Christians was gunned down by the galleasses’ superior firepower. By 4 o’clock in the afternoon, what was left of the Ottoman navy fled, three fourths of their fleet was either sunk or captured, 20,000 men were dead or in captivity and more than 10,000 Christian galley slaves had been freed. The Battle of Lepanto went down in history as the last battle in the Mediterranean that was fought mainly with galleys and as probably the bloodiest naval battle with the highest losses, about 30,000 in total, the Battle of Jutland in 1916 had 12,000 and Leyte Gulf in 1944 15,000 to mourn for comparison, even though the decisiveness is dubitable. 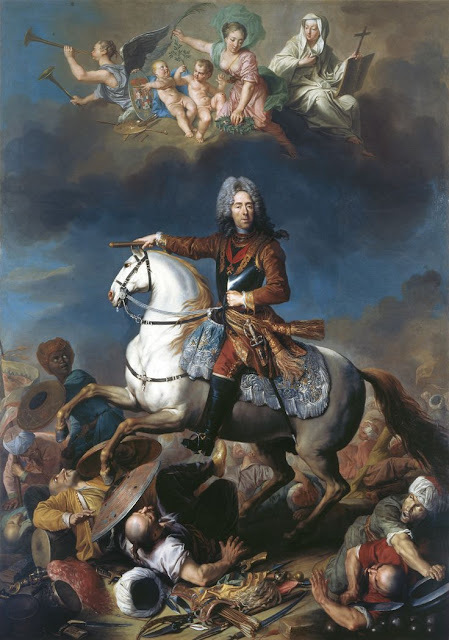 The Western nations celebrated their victory for the next 300 years and the lack of naval superiority in the Adriatic Sea was certainly a telling factor why the Ottoman Empire did not launch a major invasion of Italy. 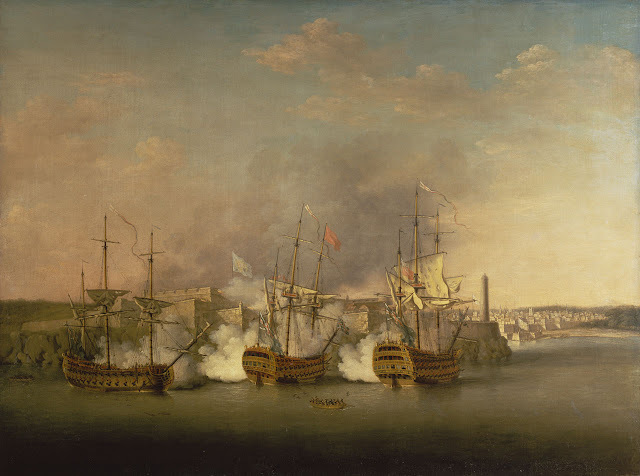 However, the Turks launched a large modernised fleet within a year and even though they lacked experienced crews at first, the remained the masters of the Eastern and Southern Mediterranean until the 18th century. One name though outshines the battle glories of Don John of Austria, Gianandrea Doria, Sebastiano Venier and all the other participants of the battle, that of Miguel Cervantes, who fought at Lepanto as a common soldiers, was wounded and, el manco de Lepanto, "had lost the movement of the left hand for the glory of the right".